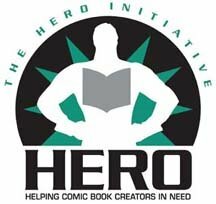 Hey everyone, I'll be at Heroes Con this weekend in Charlotte NC at table AA-301. You can see a seating chart here. Come by and say hi if you're in the area. 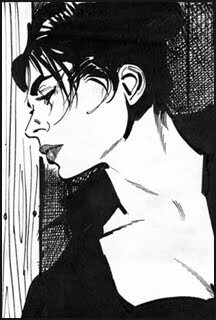 I'll be doing as many sketches as time allows and have sketchbooks and prints for sale. 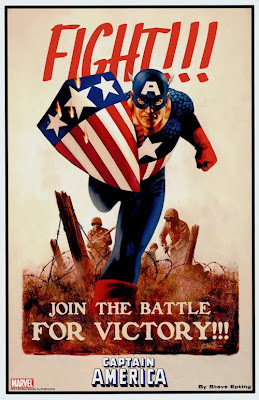 Speaking of prints, I have a new one featuring Captain America in a WWII style propaganda poster. If you can't make the trip and still want a print, don't worry. I'll be making them available for sale here on the blog just like the other items are. Look for them to be available next week after the show. Please keep these prints coming! I'd really like to see a Steve Cap one & a Steve Cap with 70s Falcon! Any chance of these happenning? I love this print, congrats! Great seeing you again Steve! Always cool to get to chat with you! Thanks so much for the time you took to do my Cap sketch, it is just what that book needed! That's an awesome print - would've been cool to grab one at the 'Con. Hopefully when you next come to New Zealand you'll have a few copies spare I can pin to my wall! Congratulations on getting the Fantastic Four gig to - my favourite artist on my favourite Marvel title, it doesn't get much better than that! Steve, I just heard the awesome news! Now I have to start reading Fantastic Four again! congrats! Thanks everyone. Shane - good to see you this weekend! Mr. Epting, do you know when this print will be available for sale? FIGHT! New print now available!